Earlier this year, Aerospike initiated its partnership with Pivotal.io, a software and services company based in San Francisco and Palo Alto, CA. We are excited to announce that, with the release of the Aerospike Service Broker Tile on the Pivotal Cloud Foundry (PCF) ecosystem, Aerospike is now officially available as part of PCF’s Partner Services portfolio. The integration of Aerospike and PCF enables fast and easy deployment of Aerospike from the Pivotal Network, providing PCF users access to the predictable performance and proven high availability of Aerospike—at the lowest total cost of ownership (TCO). The Aerospike Service Broker Tile integrates a user’s Aerospike database with their PCF deployment by automatically discovering the namespaces that have been created on the database and exposing them as service plans in the Pivotal Marketplace. 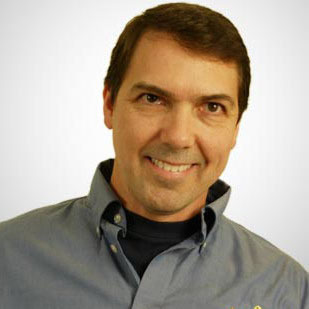 After installing and configuring the tile, developers can create service instances of Aerospike plans and bind them to their applications, providing the application with information it can use to store data in and retrieve data from an Aerospike database. Pivotal.io accelerates software development with their modern IT platform and enables systems of engagement within enterprises that are tackling new use cases. Pivotal Cloud Foundry is Pivotal’s commercial version of Cloud Foundry, the open source cloud computing platform as a service (PaaS) and allows enterprises to run in any cloud, in container environments, or on dedicated bare metal servers. With PCF’s focus on new uses cases and expanded use of data for richer applications, Aerospike is the best database for many PCF deployments. Aerospike is an easy-to-use, high-speed key-value store that can be used as a database and cache. In addition to delivering predictable performance, high availability, and extraordinary scalability in both Internet-scale deployments and systems of engagement within traditional enterprises, the Aerospike database provides unmatched TCO. With a wide variety of persistent mechanisms such as the direct use of Flash and no-single-point-of-failure geographic replication, and enterprise-class deployment capabilities such as security and IPv6, Aerospike is well suited to modern enterprise use cases. Aerospike’s database software is available in two versions—the Aerospike Enterprise Edition and the open source Aerospike Community Edition. 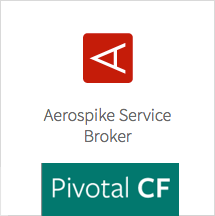 The Aerospike Service Broker Tile for PCF is currently available in beta on Pivotal.io. We encourage you to try the Aerospike Service Broker for your own applications and look forward to hearing about what you build with Aerospike and Pivotal on our user forum!